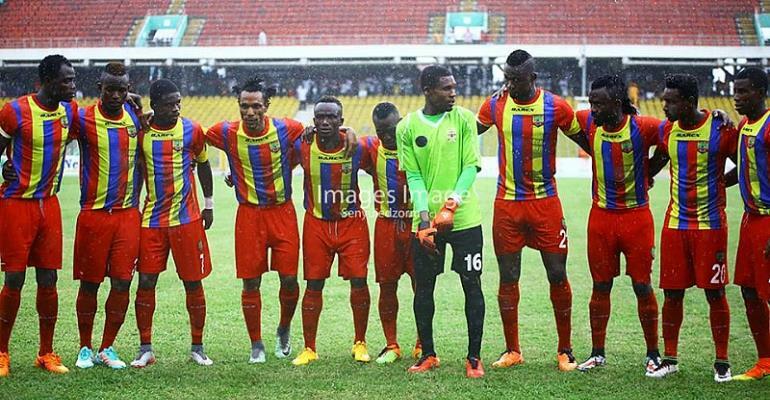 The Communications director of Hearts of Oak Kwame Opare Addo has revealed that his outfit are waiting for approval from the Cape Coast Stadium authorities as they hope to adopt the edifice as their home ground ahead of the 2017/18 GPL season. The former Premier League champions are currently searching for a new home venue for the upcoming season after renovation works have already begun at the Accra Sports Stadium ahead of the 2019 Africa Women's Cup of Nations. The Rainbow Club opted for the Swedru Stadium but were knocked back by their desire to use the facility after Proud United insistence on playing their home games in the second-tier league on Sunday. "We wanted to use El-Wak, but it will be renovated soon for the African Women's Championship," Adom TV's Agoro Ne Fom show. "We also had the option of Tema or Dansoman but the money involved with using the Tema facility coupled with lack of stands made it a bit impossible. "Our friendly game at Swedru gave us a clue that it could be a very good venue but there are several works to be done on the facility. "At the Cape Coast Stadium, the facility is in good shape and all we need to do is see the chiefs and the people of the community, but all we are waiting for is confirmation that the venue has been approved for us," he added. Hearts will need to sort things out quickly with the league scheduled to begin on the 2nd and 3rd of March.